Made from a synthetic fiber blend gasket material. These a great replacement over the other brands. And I like the fact you can buy just these reed gaskets instead of a whole kit. Less waste and money well spent. Kudos Tusk! I rebuilt my banshee with these and they worked great. cheaper than stock. I was going to use these for my cub build, right up till I did a leak down test and found that they were leaking all the way around the V force 3 reed blocks. I put a used set of Cometic gaskets under the reed blocks and doubled the Tusk gaskets between the reed blocks and intake, and they still leaked, but not as bad as singles. I will be returning them tomorrow. 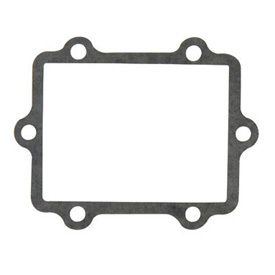 Save yourself the time and frustration, buy the more expensive gaskets.